The BO-E4040HG is a professional grade 4000 PSI Gas Direct Drive Pressure Washer is perfect for professional auto detailing, pressure cleaning, stain removal, wood restoration, cleaning concrete surfaces, and cleaning or stripping exterior walls. CU:PSI and GPM are required to get the job done properly. 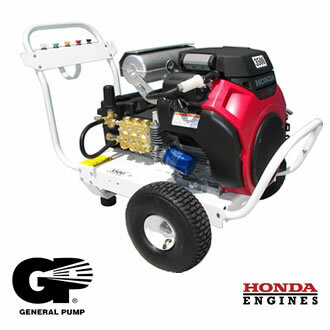 The cleaning efficiency of a pressure washer is calculated using the formula (PSI x GPM).